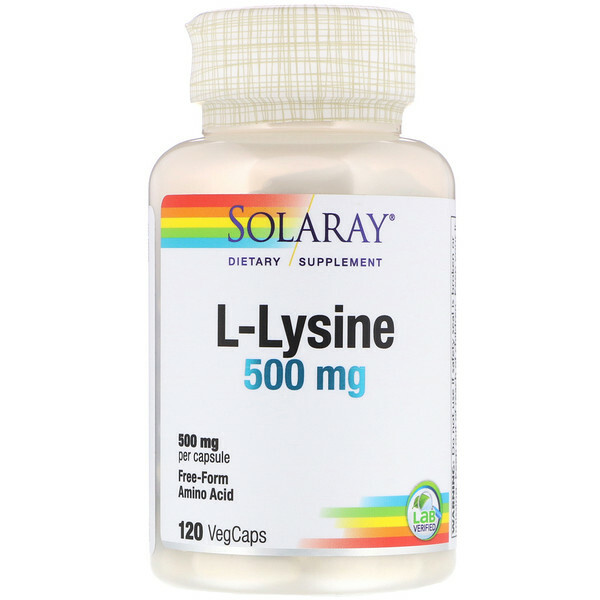 Discussion: L-Lysine is an essential amino acid not produced by the body. It must be acquired from Lysine rich foods such as fish, beef, poultry, seeds, and nuts or from nutritional supplements. 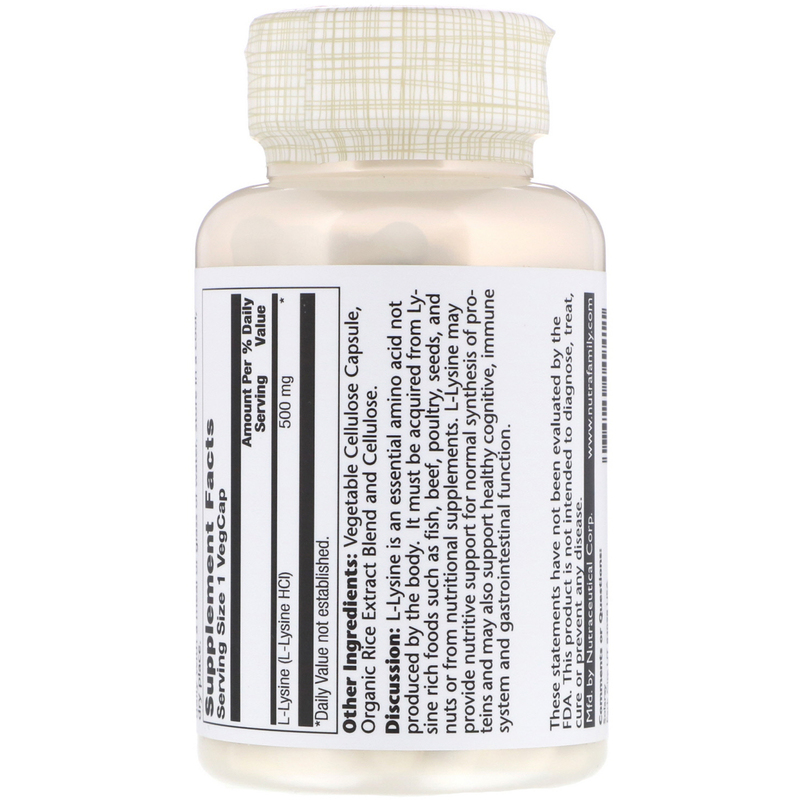 L-Lysine may provide nutritive support for normal synthesis of proteins and may also support healthy cognitive, immune system and gastrointestinal function. Vegetable cellulose capsule, organic rice extract blend and cellulose.